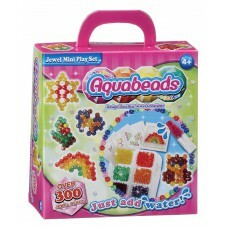 With colourful Aquabeads, beautiful creations are simply a spray of water away! Simply pick a template design and the specially designed layout tray to place your jewel beads in position, spray with water and the jewel beads magically stick together! Re-use templates again and again or have even more fun by creating your own beautiful design.